very nice friendly shop . the staff are always polite and attentive. helpful and informative and happy to answer any off your questions. 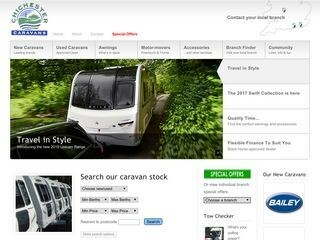 my family and I have used this store for years and always purchased out caravans, awnings and accessories here. they have a web site but I enjoy browsing around . on the main road easy to find . As first time caravan buyers the staff rally help and know there stuff . We are always poping in there for advise as the caravan world it big . We are still learning . They stick a wide range or new and used awnings . Also everything you need for camping life online products are ok but I prefer so look at it and see it for myself .